In order to receive the CollegePoint Schools Award, you must first upload a screenshot or confirmation email of the submitted application or acceptance letter for each college/university that you have applied to. The screenshot or confirmation email must include your FULL NAME or EMAIL address, the date the activity took place, and the institution name. See below for examples of both correct and incorrect submissions of financial incentive verification. All application confirmations must be submitted by January 31, 2018 at 12:00 PM Eastern Time. Awards will be finalized in March 2018, which is when you will receive official notification from CollegePoint. Awards will then be disbursed between April 1, 2018 and April 15, 2018. The above example illustrates a correct award verification submission. 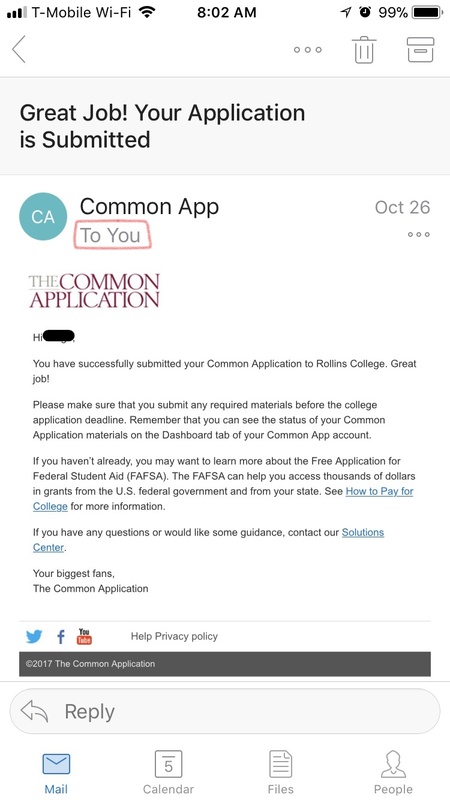 We are able to see the student's full email address, the date the email was received, and the college or university that the student applied to. The verification submission would also have been correct if, instead of including his full email address, the screenshot included his full name. The above example illustrates an incorrect award verification. 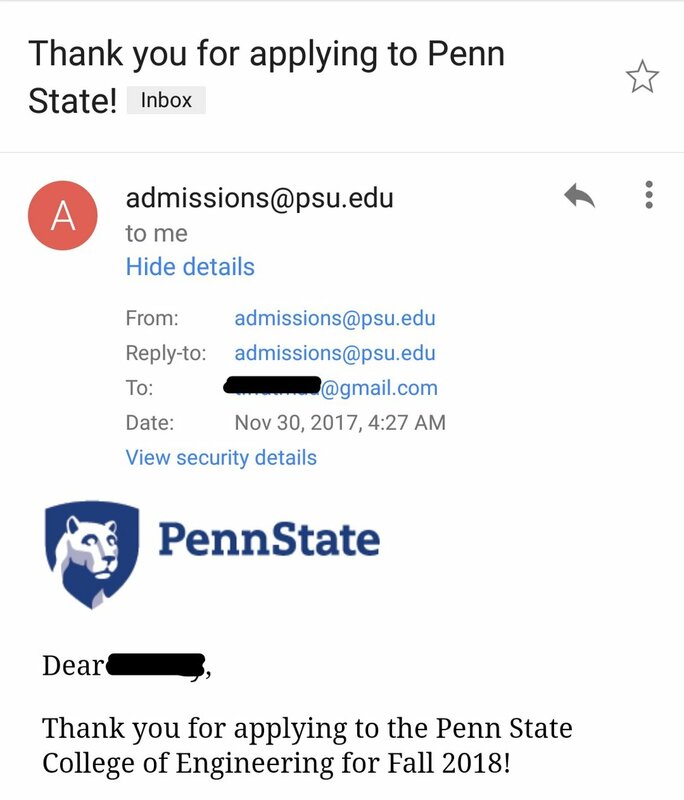 While the submission includes the name of the school applied to, it does not include the student's full name or full email address. To receive the award for applying to this school, the student must resubmit the CollegePoint Schools Award Verification Form and be sure to include his full name or email address along with the name of the school applied to. If your confirmation email only includes your first name (this is common), MAKE SURE to hold your mouse over the recipient email address so that the full email appears.